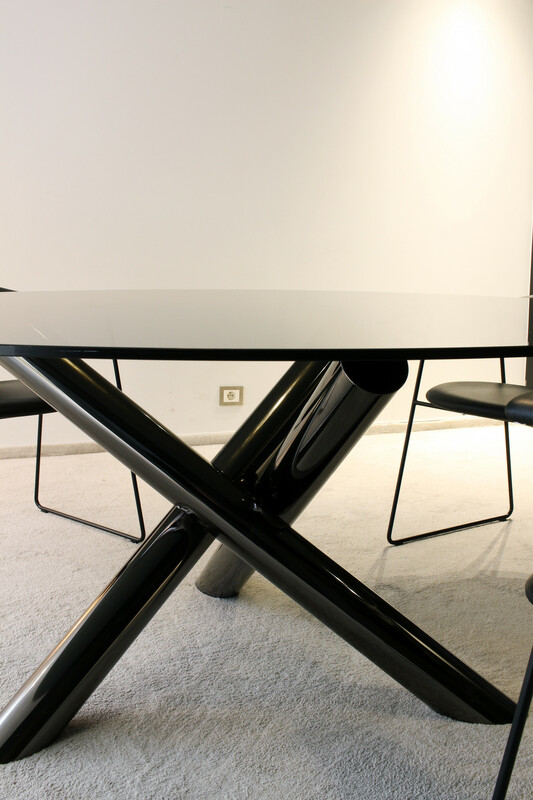 The elegant base of this Italian table in black nickel in combination with the black fumé table top in glass makes the environment modern and luxurious. 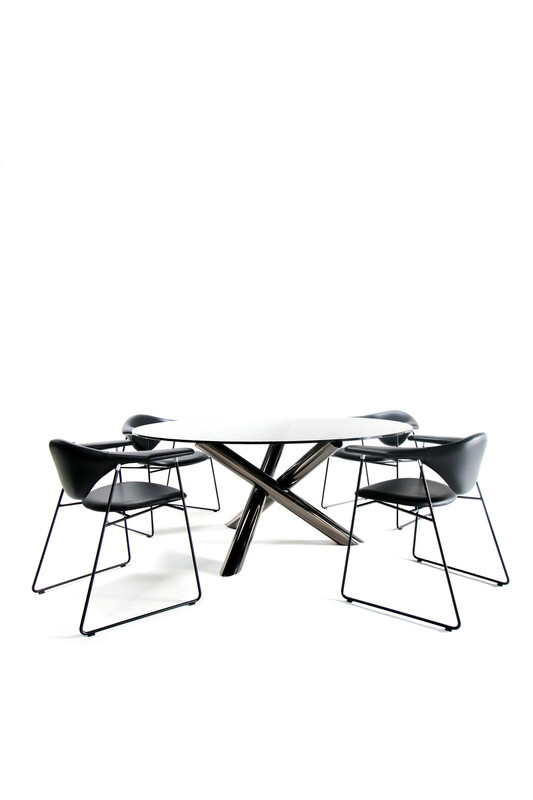 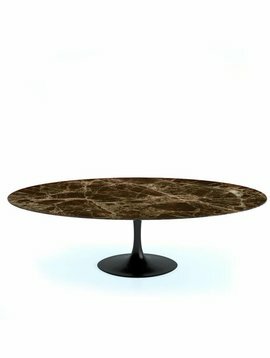 This sublime dining table was designed by Rodolfo Dordoni. 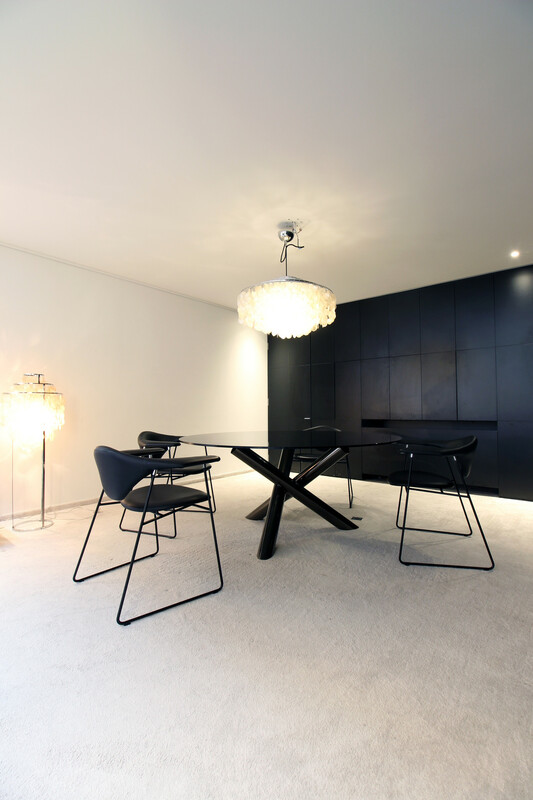 It became an absolute asset to the collection of the design brand Minotti. 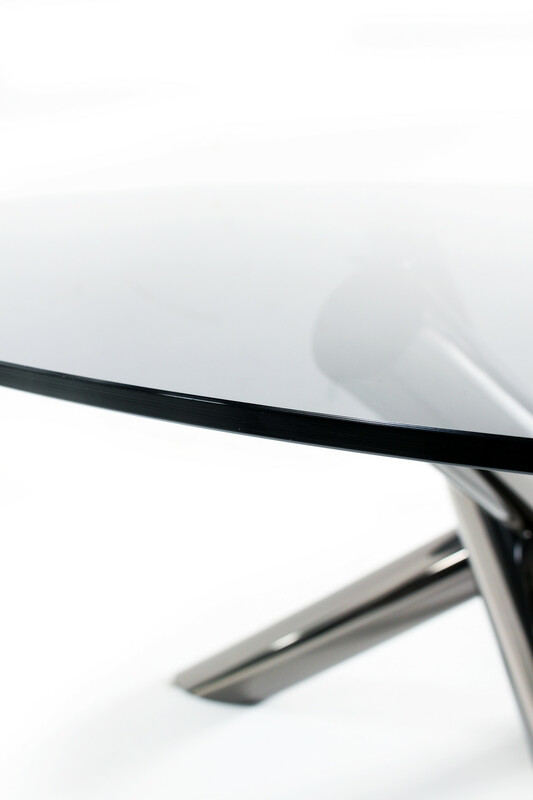 The table has a very luxurious finish. 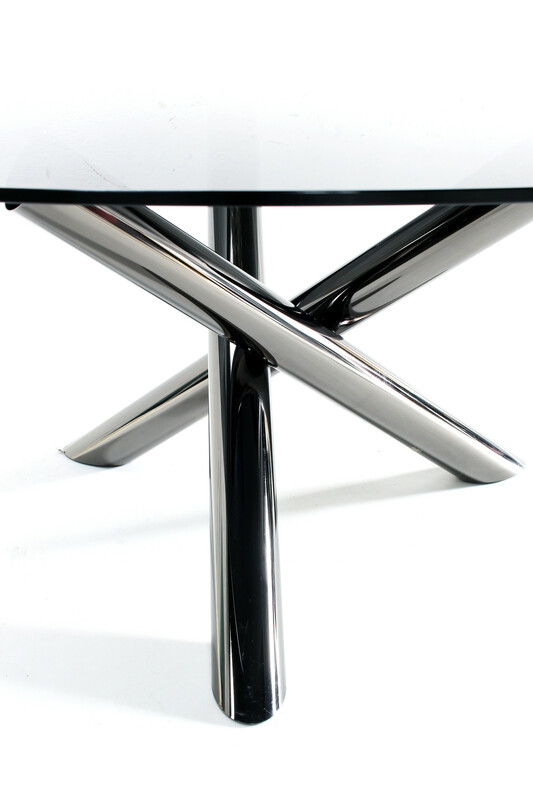 A luxurious modern look is created by the elegant base in black nickel & the fumé glass tabletop. 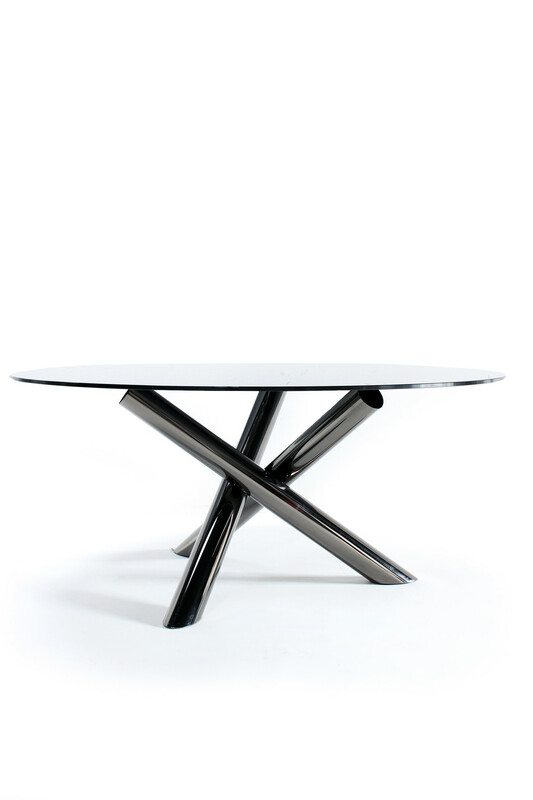 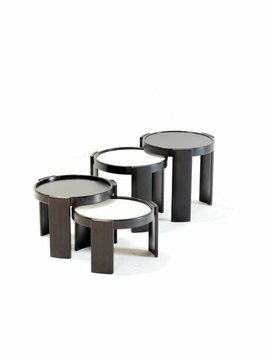 The table provides a stylish & elegant appearance. 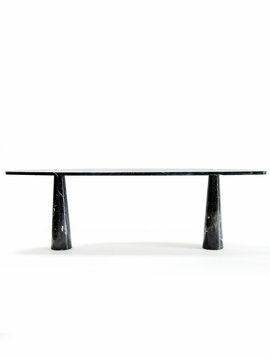 The colors & choice of materials are perfectly matched. 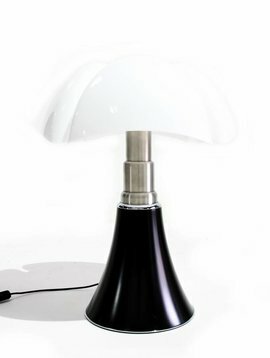 It is the perfect picture. 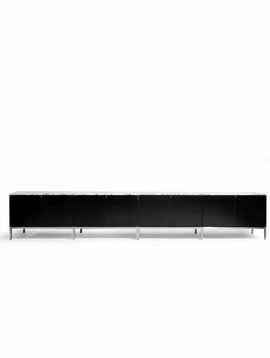 Minotti is an Italian top brand & highly appreciated in the interior world. 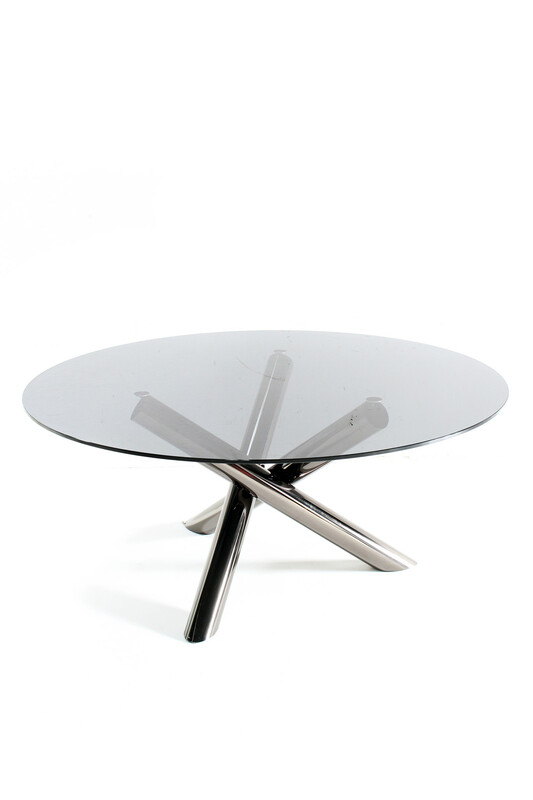 Due to the transparency of the tabletop, the table is very "light" and spacious. 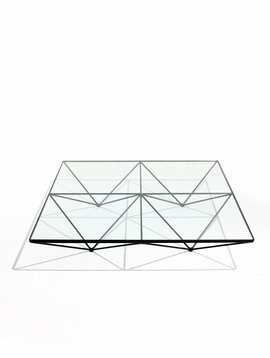 The table is in beautiful condition, as well as the glass top is intact.